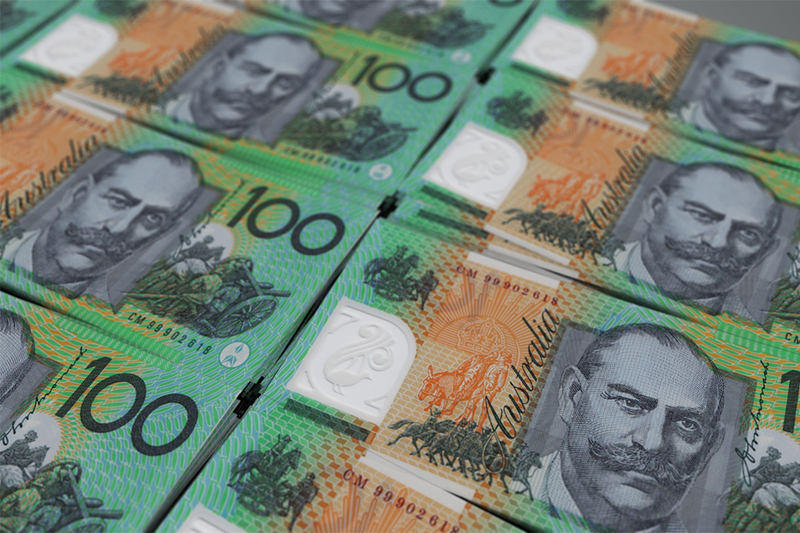 The Australian Dollar to Pound exchange rate soared early Thursday morning, helping to propel the AUD/GBP exchange rate to a new three-week best on the back of some upbeat employment figures from Australia. £1 currently buys AU$1.84652, -0.06% down on Friday's open. According to data published by the Australian Bureau of Statistics (ABS), the unemployment rate unexpectedly fell from 5% to 4.9% in February, the lowest rate of unemployment since June 2011. The surprise drop in domestic unemployment came as a welcome development to AUD investors as it not only signals that Australia’s labour market is improving, but is also seen as reducing the chances of the Reserve Bank of Australia (RBA) targeting a potential rate cut this year. The RBA had previously warned that a potential factor that could prompt a rate cut from the bank would be a sustained rise in unemployment, leading analysts to suggest that today welcome improvement could stay the RBA’s hands for now. However not all economists were in agreement, with many speculating that this will not be enough to stave off a rate cut this year. ‘The fall in the unemployment rate to an eight-year low in February suggests the RBA will remain its optimistic stance for now, but we still think that the labour market will soon start to slacken again,” he said. Meanwhile the Pound’s (GBP) losses against the Australia Dollar (AUD) were extend during the first half of the European session on Thursday amidst renewed fears of an accidental no-deal Brexit. This week has brought a significant rise in Brexit uncertainty, with Sterling plummeting as the confusion surrounding the process only grows with each passing day. Concerns are currently mounting over Theresa May’s attempts to force MPs’ hands by only requesting a short extension to pressure them into backing her deal in a third vote. Analysts fear this increases the risk of a no-deal Brexit, something that has weighed heavily on Sterling sentiment in recent days. ‘Theresa May has put the emphasis back on Parliament to support her deal by confirming that she won’t extend Brexit beyond June 30th. While the chances of it passing may be marginally improved, the odds are still stacked against her. ‘Should Parliament reject the deal again then the path ahead remains unclear, with Donald Tusk keeping tight-lipped on what the options would be in such a scenario. GBP/AUD Exchange Rate Forecast: BoE Rate Decision to be Overshadowed by Brexit? Looking ahead, the Bank of England will deliver its latest rate decision on Thursday afternoon, but given the current focus on Brexit it appears unlikely to have much of an impact on the Pound Australian Dollar (GBP/AUD) exchange rate. Instead the spotlight will likely be on the EU summit of leaders taking place later in the evening as Theresa May attempts to persuade EU leaders to back her short delay to Brexit, something that could see Sterling plummet if the EU appears reluctant to grant the extension.